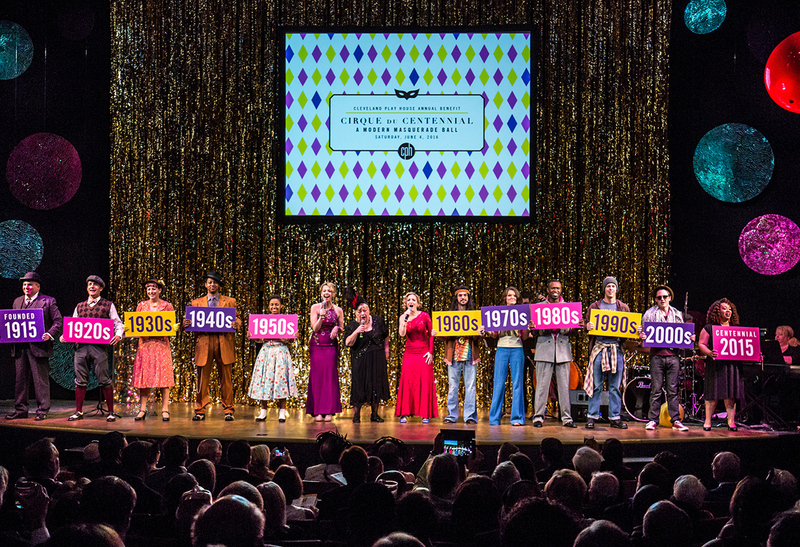 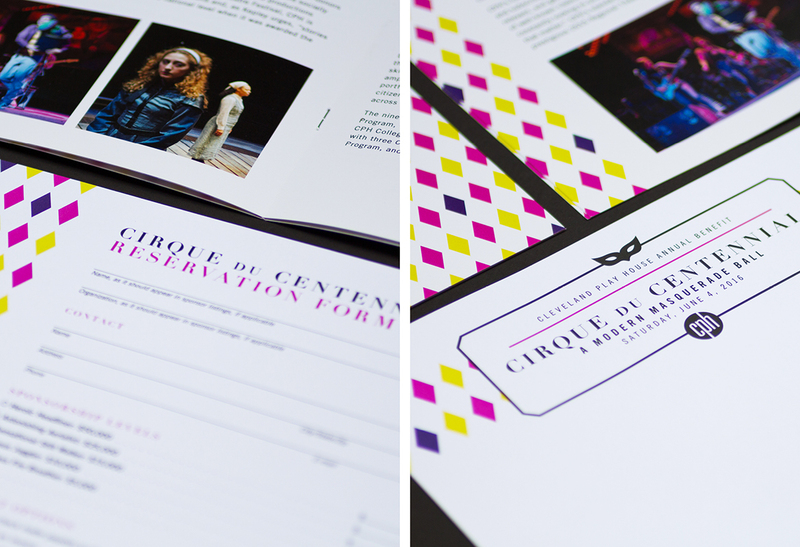 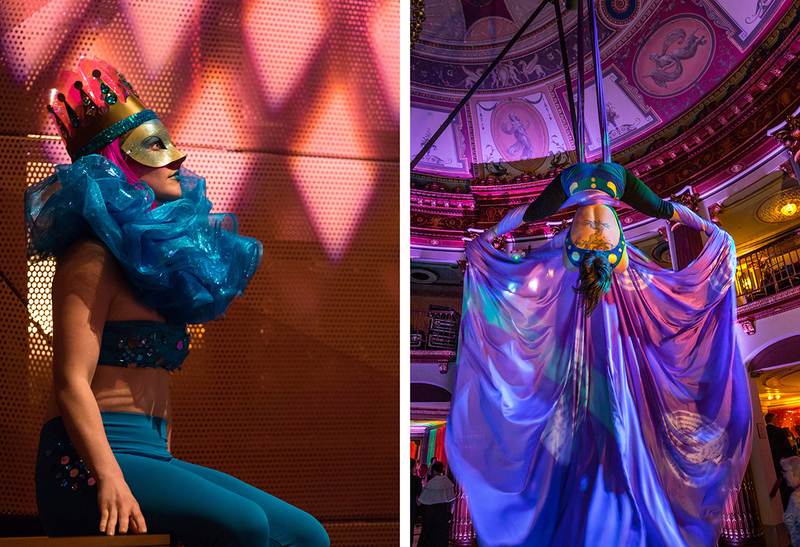 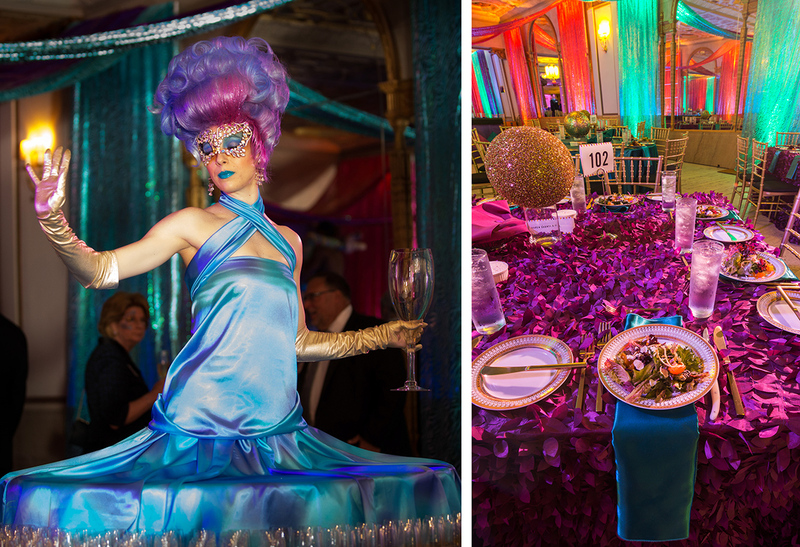 Cleveland Play House's 2016 Annual Benefit was centered around the idea of a masquerade ball with the vibrant colors and acrobatics of Cirque du Soleil. 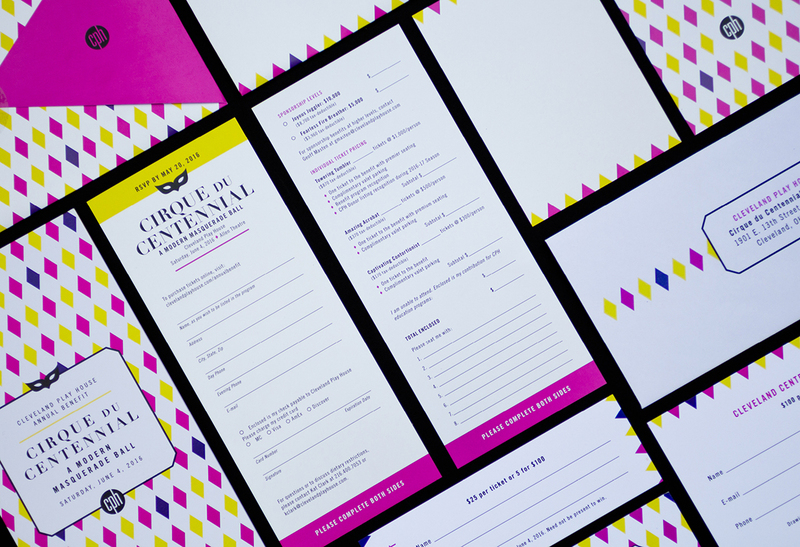 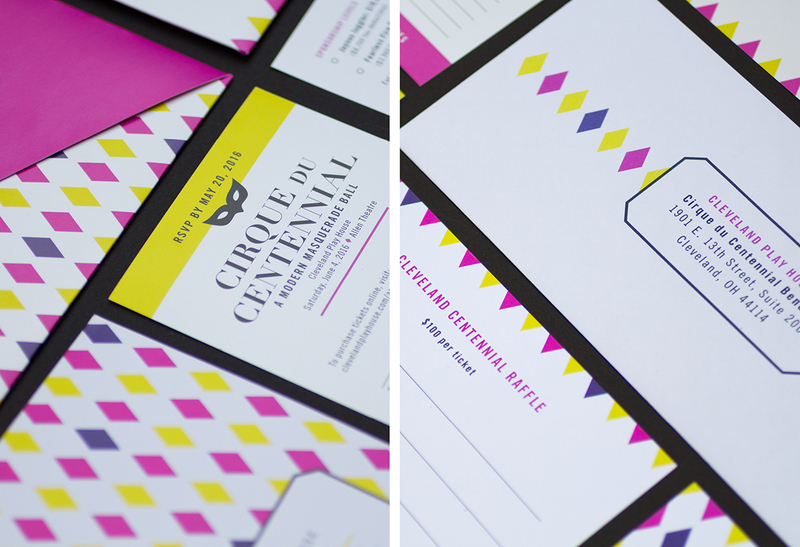 The invitations needed to convey the theme and intrigue guests without giving away the surprise. 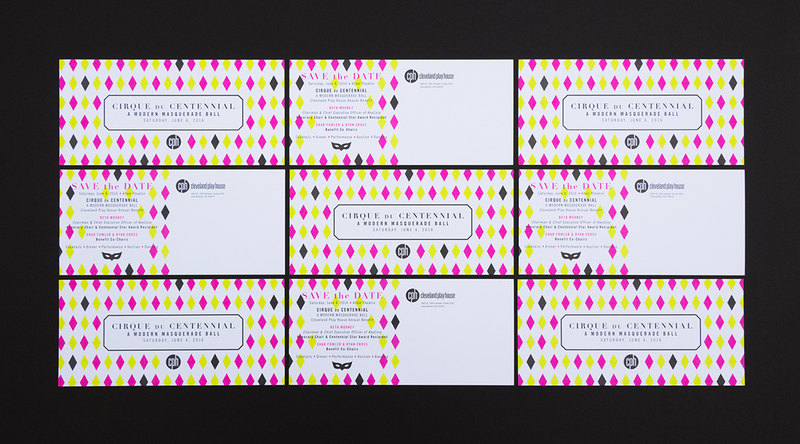 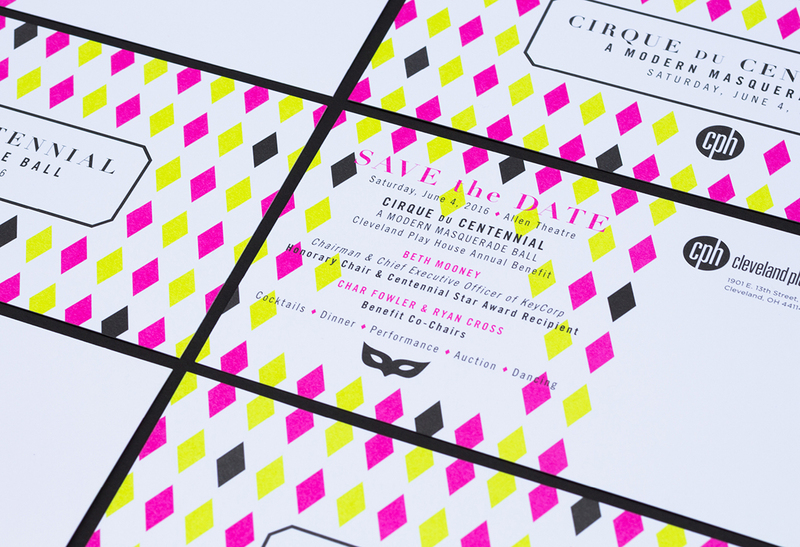 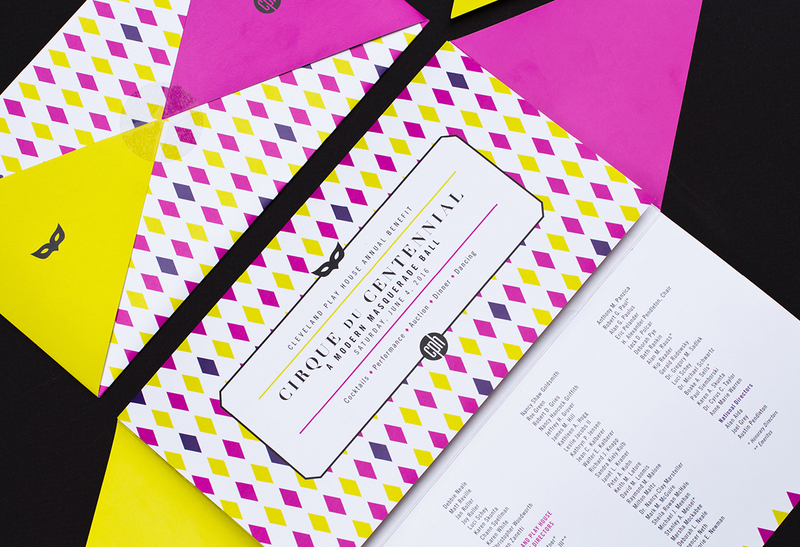 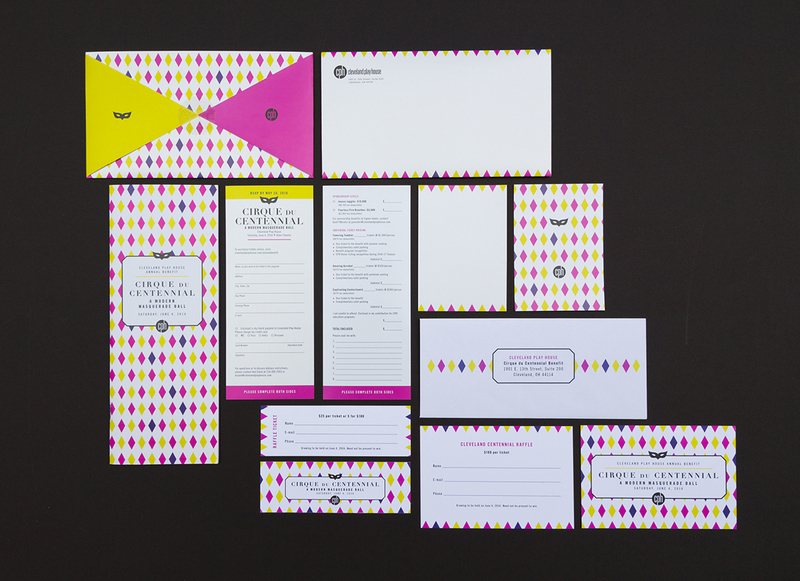 I used a harlequin pattern in bright colors and a mix of elegant and modern typography to convey a sophisticated and lively evening. 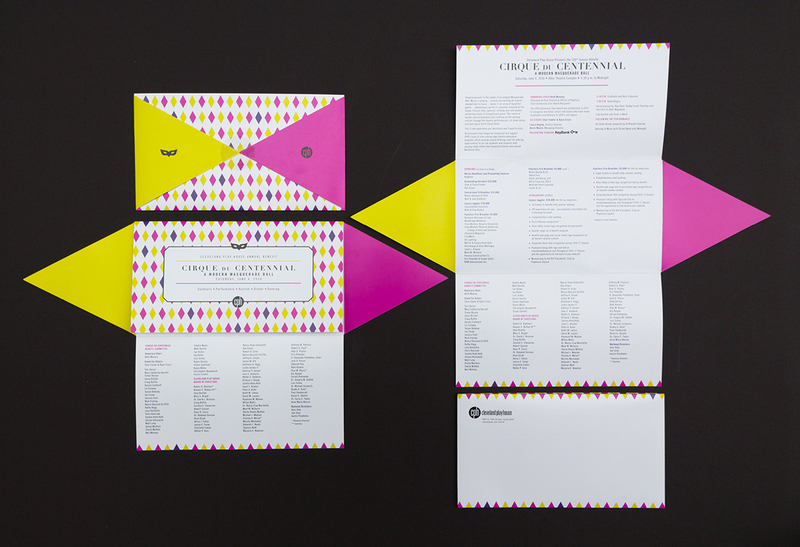 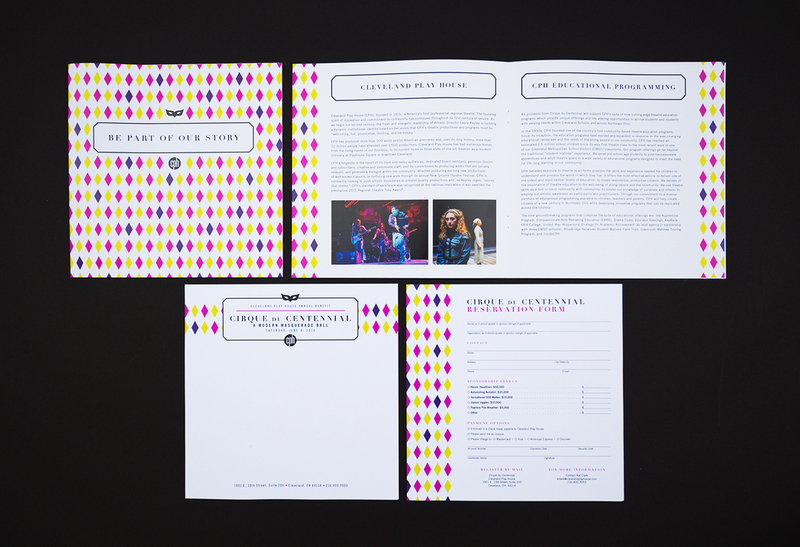 The invitation itself was a uniquely folded self-mailer instead of a traditional envelope/card.